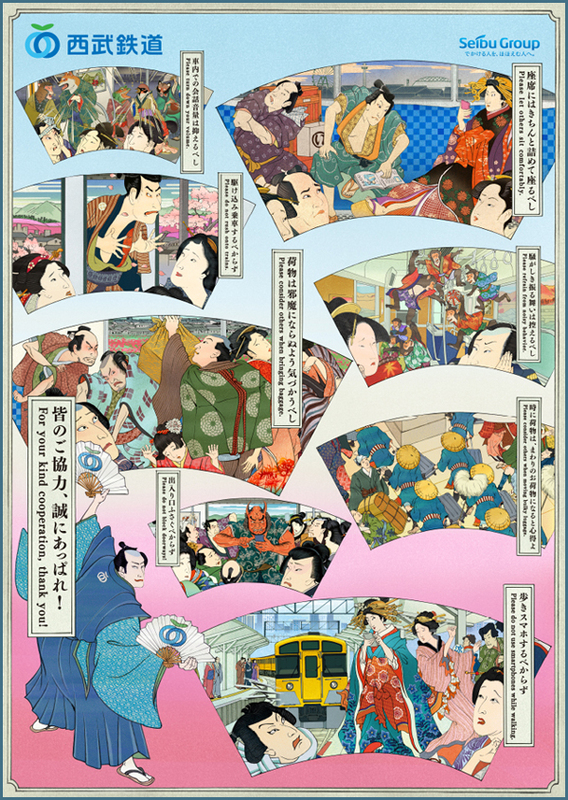 Posters that use traditional kimono-wearing characters portrayed in the style of Edo Period ukiyo-e to educate train passengers on proper etiquette have gained attention abroad, with the works featured in a British exhibition and printed in Taiwanese textbooks. 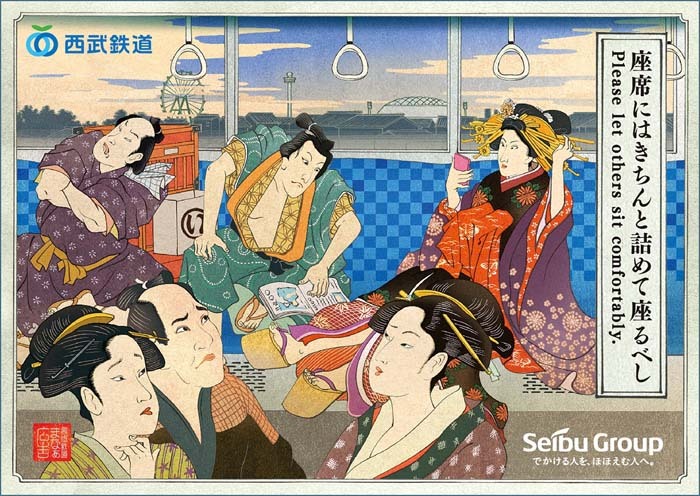 First introduced in September 2016, the light-hearted yet educational posters can be found in train stations operated by Seibu Railway Co. in and around Tokyo. 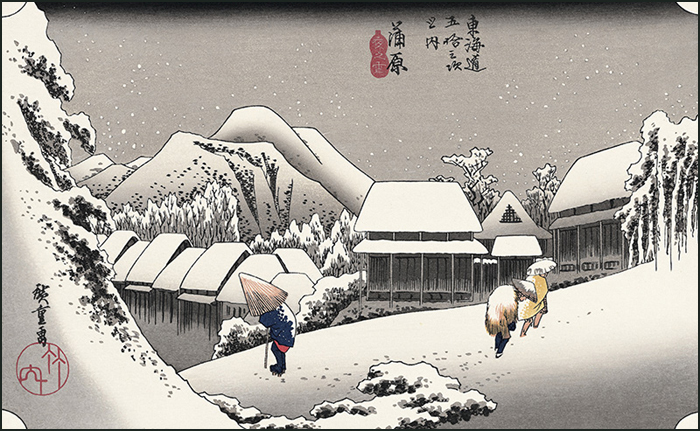 The ukiyo-e art form traditionally depicts scenes of the Edo Period (1603-1868). 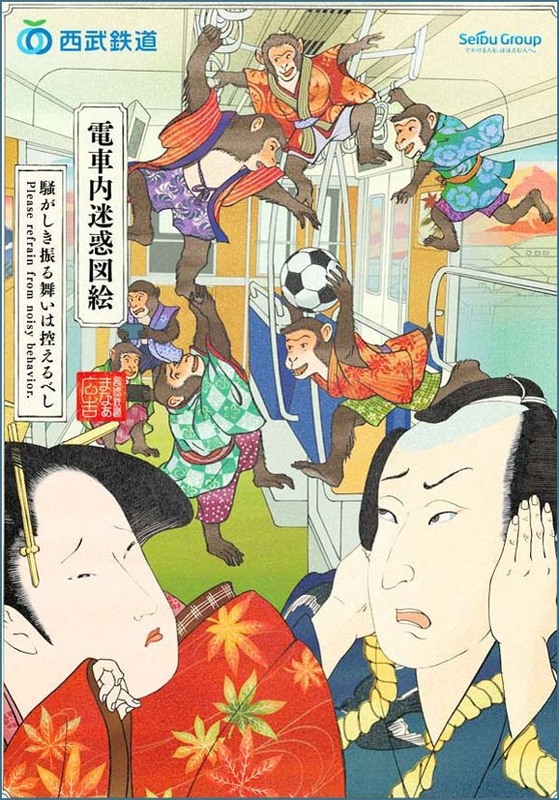 The cultural reference points are used in a range of posters, including one asking commuters to be thoughtful of fellow travelers by depicting an anthropomorphic frog and monkey talking loudly as passengers cover their ears in protest. 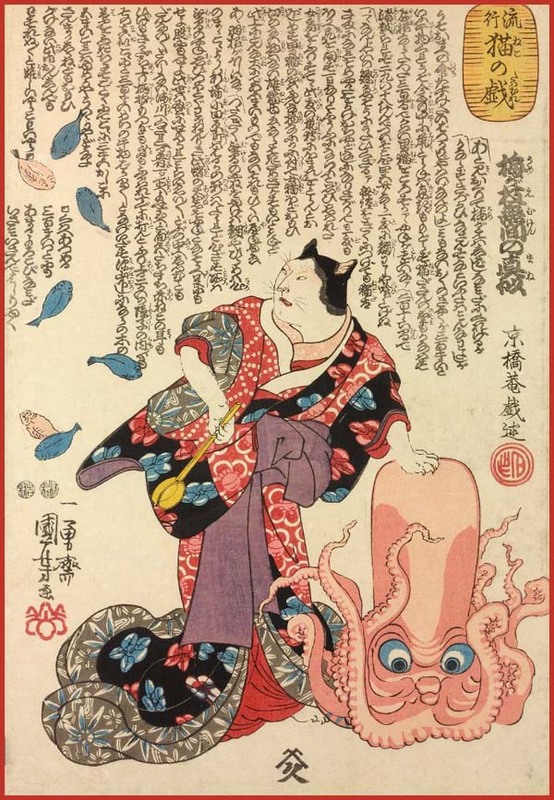 The posters were an immediate hit when they were first put up at Seibu train stations, with some passengers asking for the images to be printed on merchandise. London’s Victoria and Albert Museum began exhibiting the posters in March, noting the interesting amalgamation of tradition and modernity. 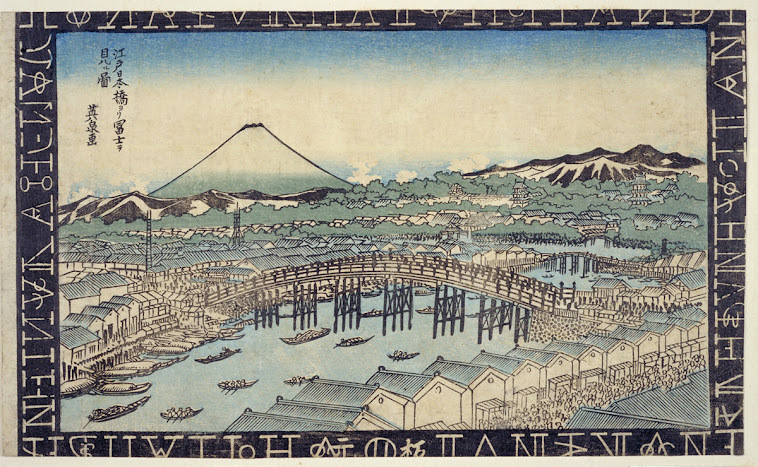 “The posters illustrate the bustle and thrill of city life in modern Japan. Humor tempers the message about how to be a well-behaved commuter,” it says on its website introducing the pieces. 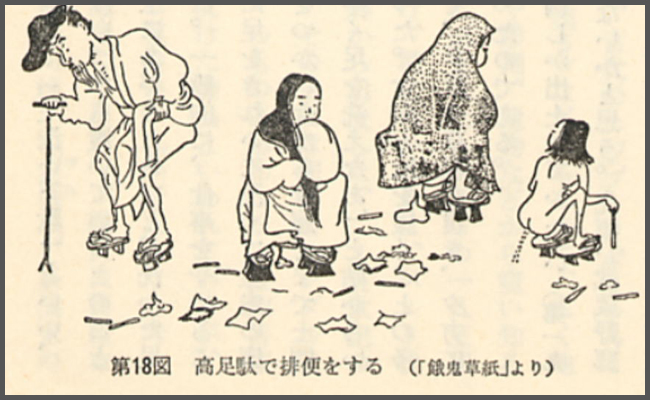 A company running cram schools in Taiwan also included the images in their Japanese textbooks. “We wanted to attract interest from the growing number of overseas visitors,” said Seibu Railway customer service official Konomi Yamamoto, who originally proposed the idea. 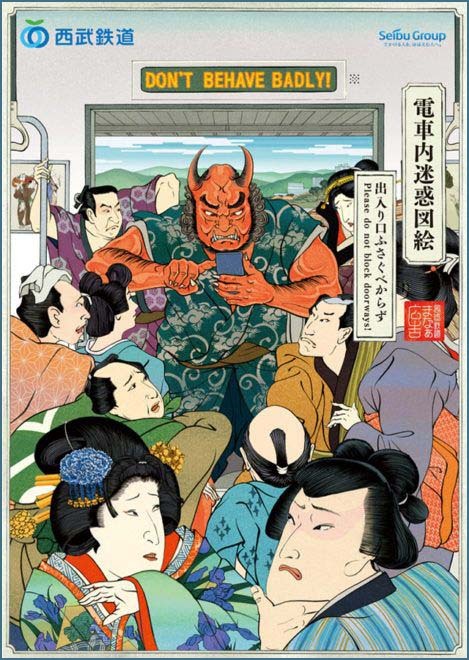 “We were able to depart from stereotypical posters by making (the ukiyo-e) appealing. I’m surprised by the overwhelming international response,” she said. Yaraichoo 矢来町　Yarai-Cho "Palisade quarter"
For a definition of YARAI, see below. Located on a plain up the slope of Kagurazaka. There are many publishing companies in the district. 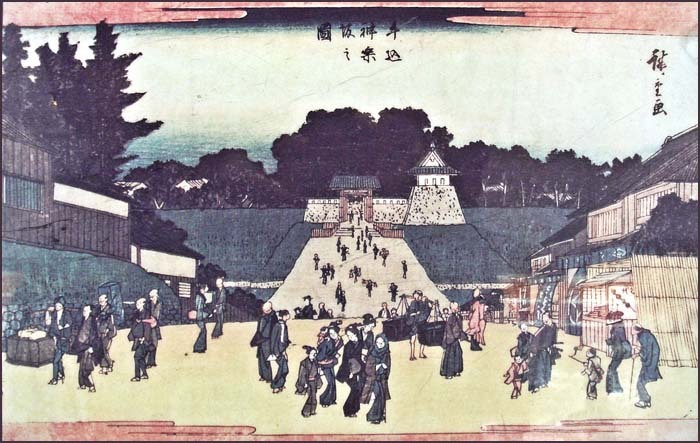 In the Edo period, the estate of the lord Sakai Tadakatsu was located here. take yarai 竹矢来 bamboo fence erected. 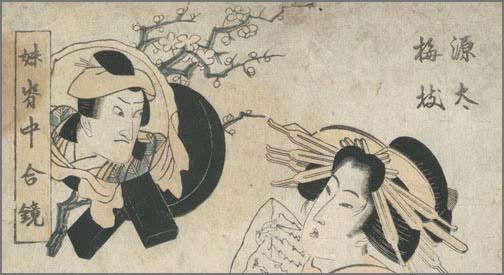 The Shogun Tokugawa Iemitsu 将軍家光 often came to visit him. 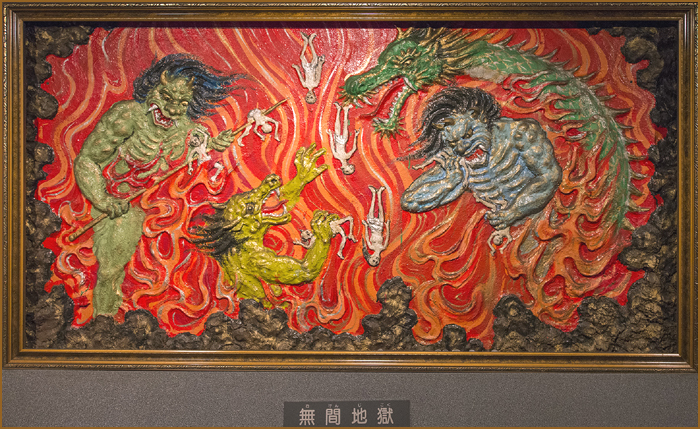 During the 寛永16年8月11日 Great Fire of Edo in August 1639 Iemitsu fled to this estate too. 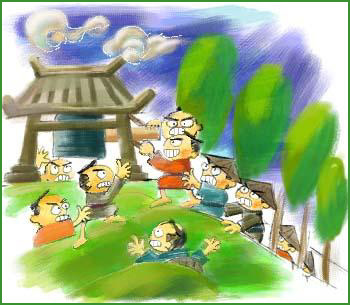 To protect the Shogun, Tadakatsu now had a wall erected and soldiers with spears were placed around the bamboo fence. 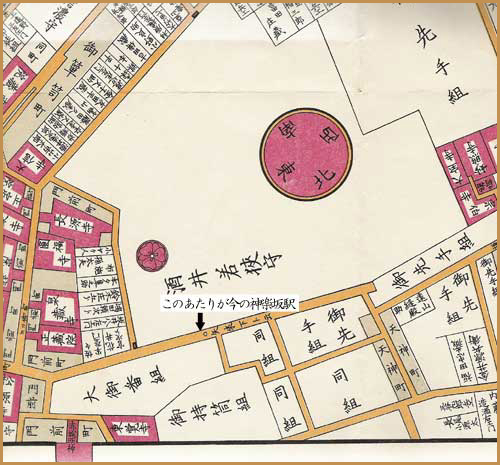 And the region around that estate became known as Yarai shita　矢来下 "below the palisade". 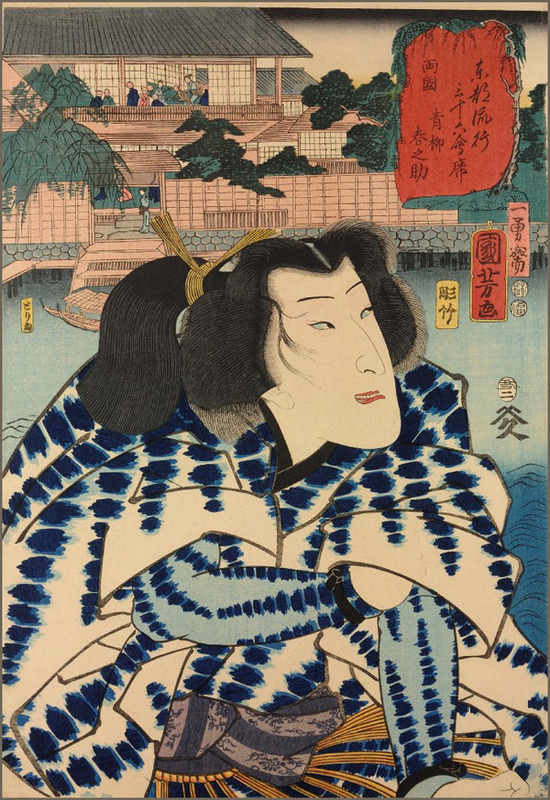 also known as Sanuki-no-kami, was tairō, rōjū, master of Wakasa-Obama castle (若狭国小浜城) and daimyo of Obama Domain in Wakasa Province in the mid-17th century. 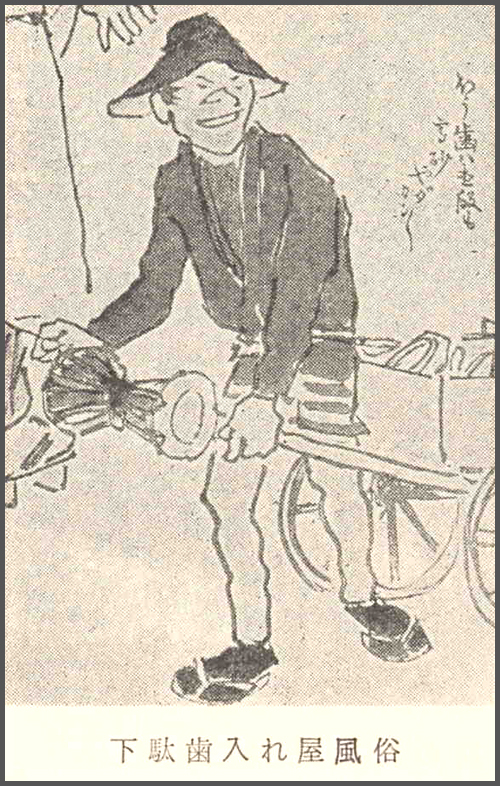 As tairō, he was one of the two highest ranking bakufu officials in Tokugawa Japan from his elevation on November 7, 1638, through May 26, 1656. 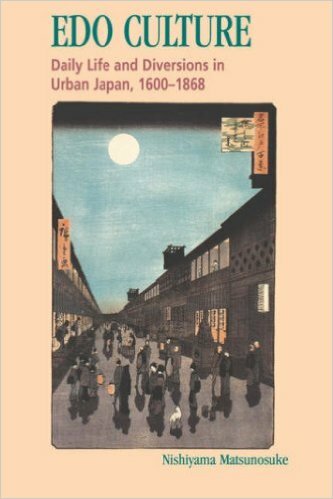 - Nihon Ōdai Ichiran is first published in Kyoto under the patronage of the tairō Sakai Tadakatsu in 1652. 神楽坂 Kagurazaka slope "to Edo Castle".
. 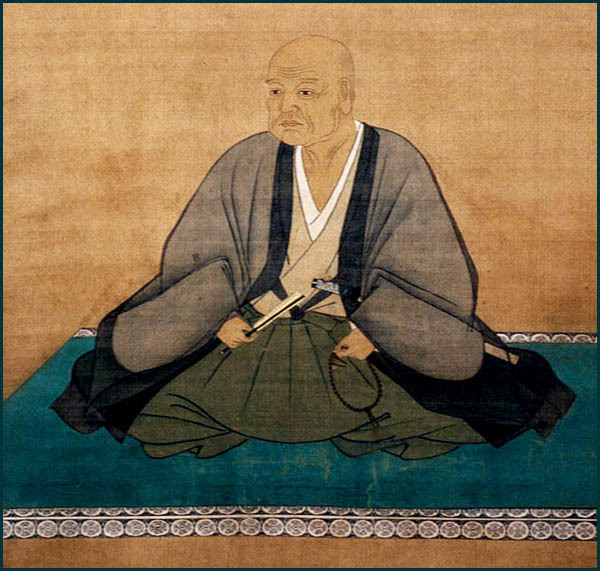 Doctor Sugita Genpaku 杉田玄白 （1733―1817） . 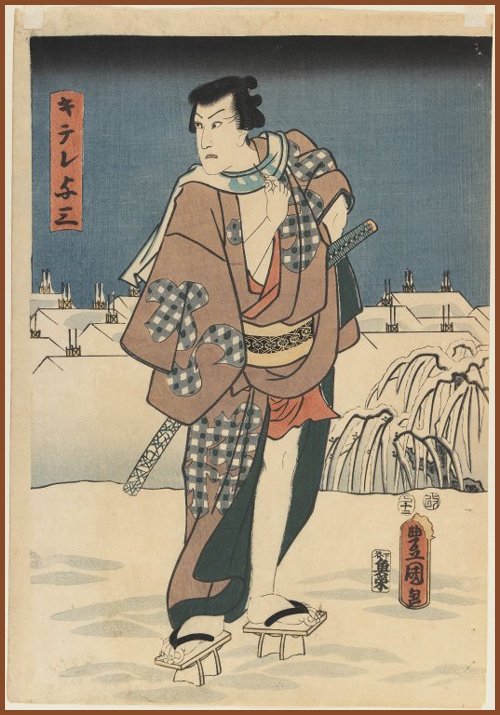 He was born in Yarai in 1733 in the 牛込矢来屋敷 Yashiki of the Sakai Clan. 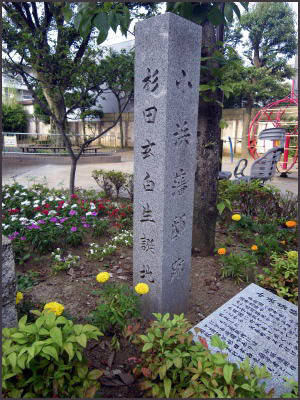 His memorial stone is in the park Yarai Koen 矢来公園. 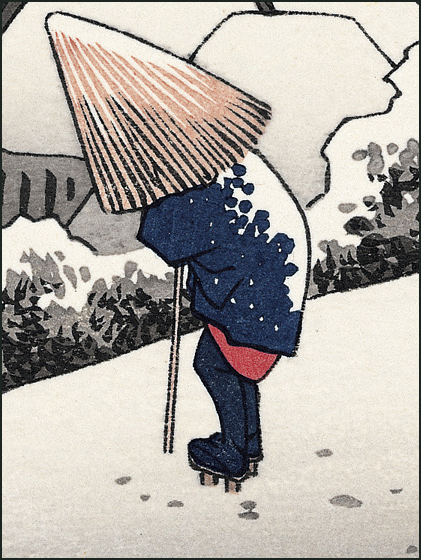 lived in this district and sometimes called himself Shinchō, 矢来町の旦那 The Patron of Yaraicho.
. Rakugo 落語 Comic Story Telling . 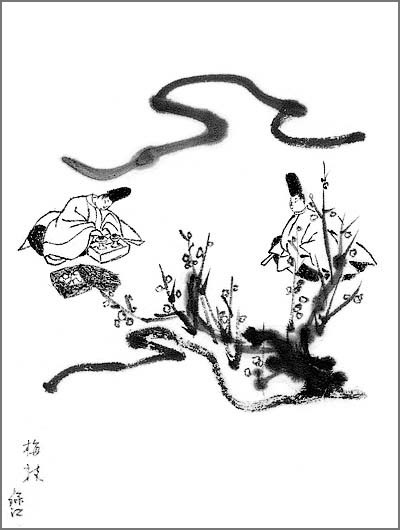 The old Chinese character was 遣(や)らい. 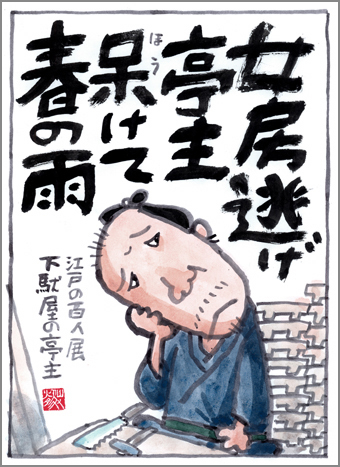 矢来 is a phonetically suited writing (ateji 当て字). Tush a fence is not much higher than two meters. 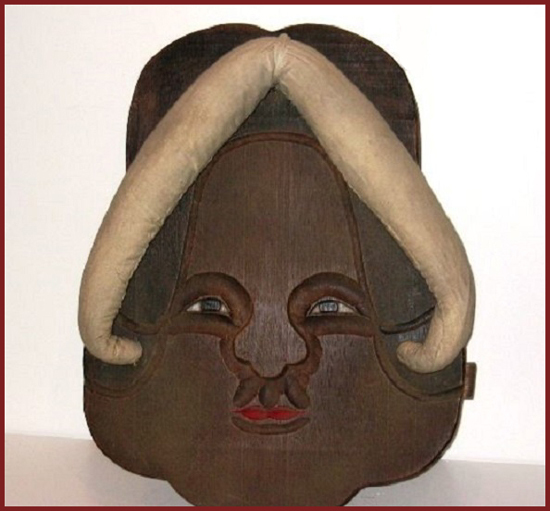 maruta yarai 丸太矢来 were made from round wooden poles. They were often installed for a temporary purpose and thus easy to remove. 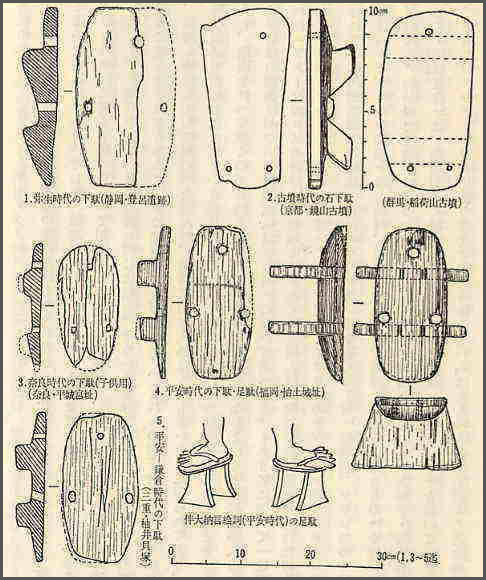 chousengaki 朝鮮垣, and chousen yarai 朝鮮矢来 (chosen yarai, Korean fence). 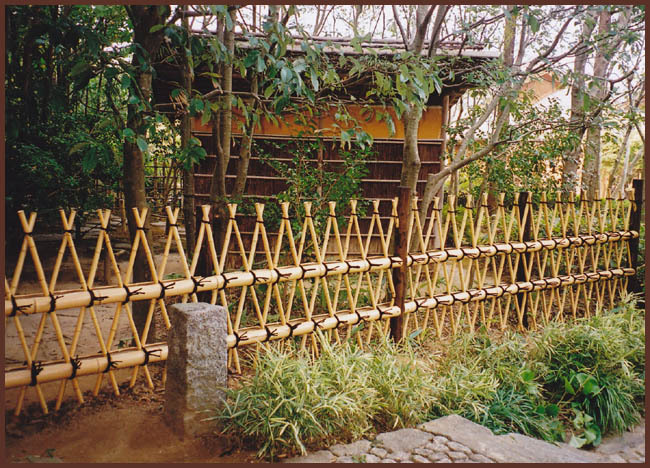 A type of simple bamboo fence. 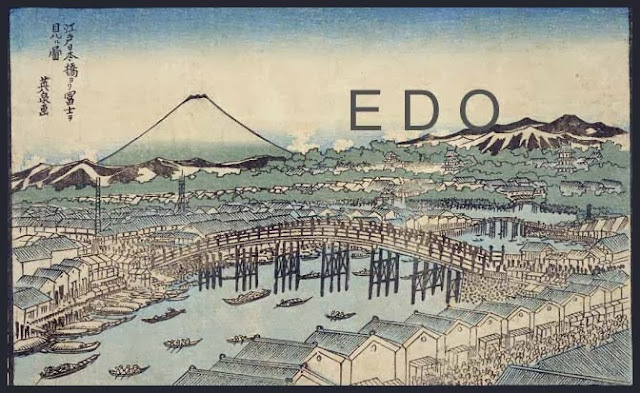 In 1711 a Korean mission traveling from Ootsu 大津 to Edo attracted so much attention that the government ordered people to erect fences along the road on which the Koreans passed. These fences were made with pieces of uncut bamboo tied on intersecting diagonals between two or three cross bars of split bamboo. Often the projecting bamboo at the top is cut to create a sharp edge.
. Ritual Kagura Dance 神楽 - Introduction. ... near Iidabashi Station. It has a shopping street at its center, lined by numerous cafés and restaurants. 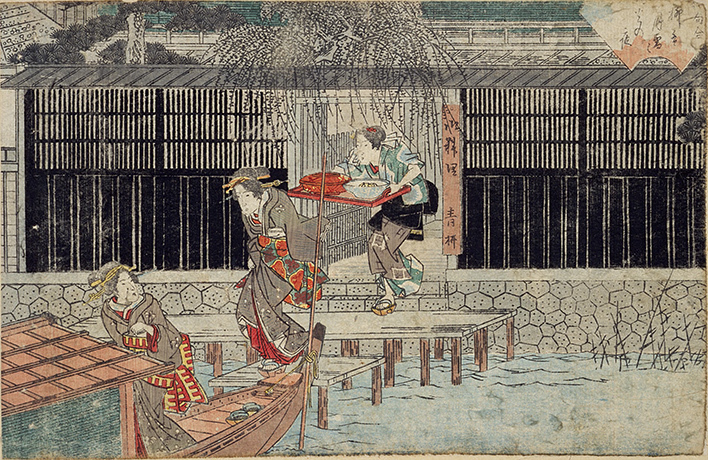 The main road of Kagurazaka was once at the outer edge of Edo Castle, opposite the Ushigome bridge over the castle moat, and has always been busy because of this privileged location. 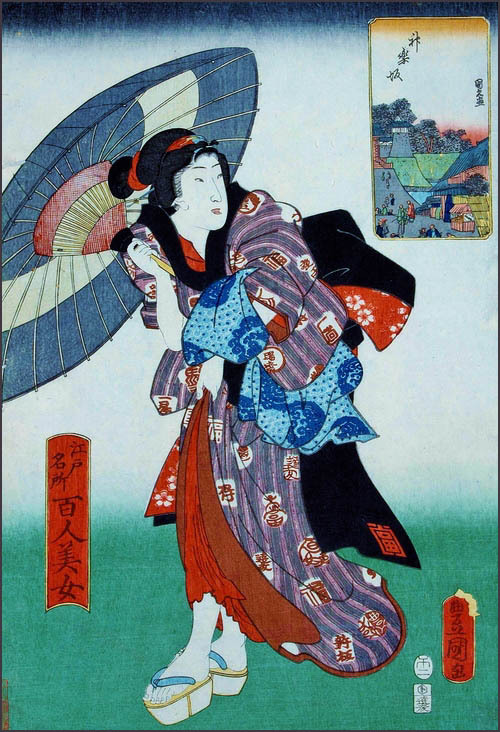 In the early 20th century, the area was renowned for its numerous geisha houses, of which several remain today. Currently, Kagurazaka is experiencing a popularity boom due to its traditional atmosphere on the edge of modern Shinjuku ward, the existence of the original campus of Tokyo University of Science and its proximity to Waseda University. The area is also home to a number of publishing houses. 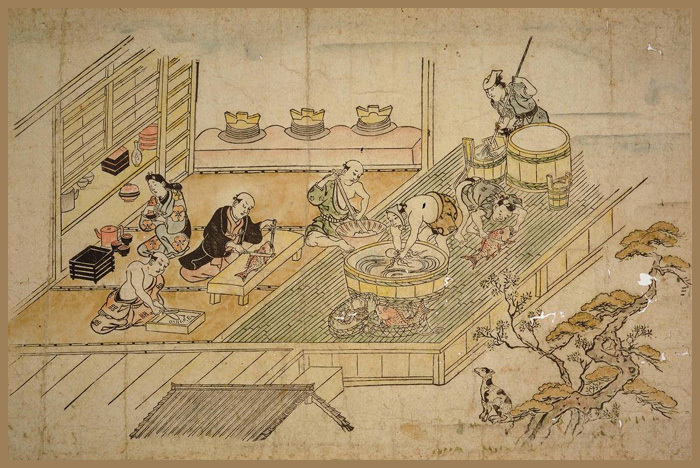 is also widely regarded as an important center of Japanese cuisine within the Kanto region. 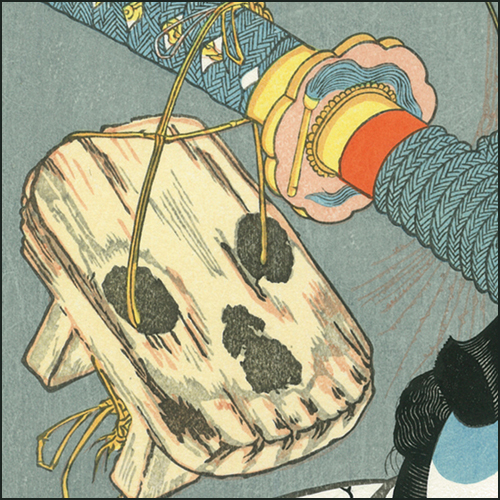 Several old and famous ryōtei are to be found in the winding back streets, often accessible only by foot. 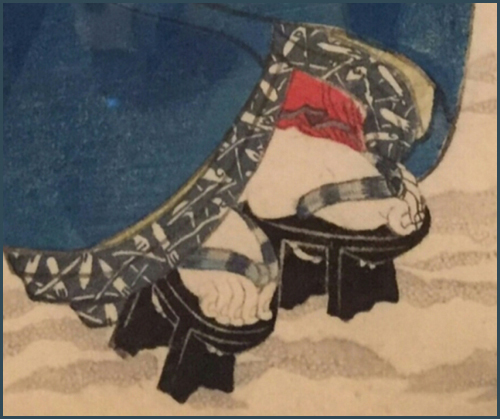 These provide expensive kaiseki cuisine, generally regarded as the pinnacle of Japanese food. They also allow diners to invite geisha to provide entertainment during the evening. Many shops in the area cater to this culture, especially selling kimono, Japanese sweets, and tea. 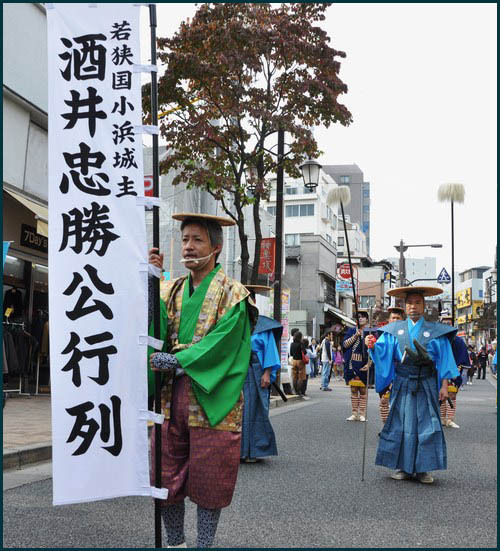 The Kagurazaka Awa Odori (阿波踊り) festival (originating in Tokushima) is held the fourth Friday and Saturday each July. 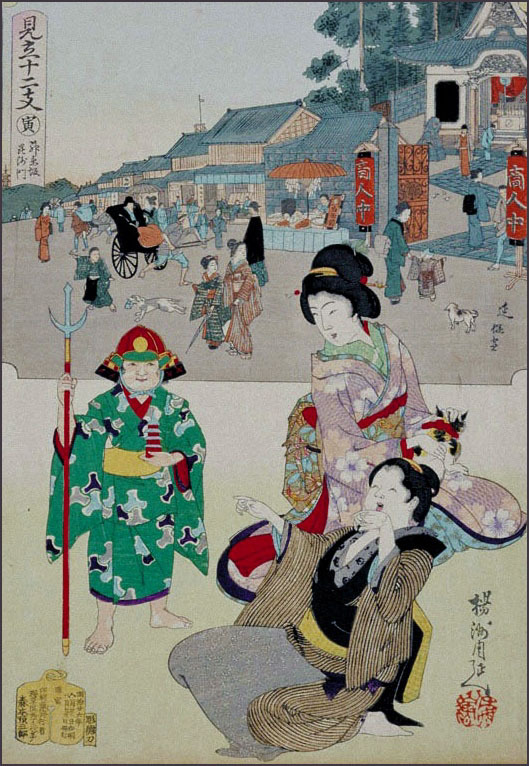 The Kagurazaka connection to the dance goes back to the Edo era, when the Tokugawa daimyo donated the Ushigome Mitsuke. This is the fortified gate at the bottom of the Kagurazaka hill, on the opposite side of the canal. Today, only its foundations remain, just to the south of JR Iidabashi station. Akagi Shrine (Akagi Jinja 赤城神社) was formerly at the top end of Kagurazaka. It was redeveloped with a new shrine and apartment complex, designed by Kengo Kuma and opened to the public in September 2010. 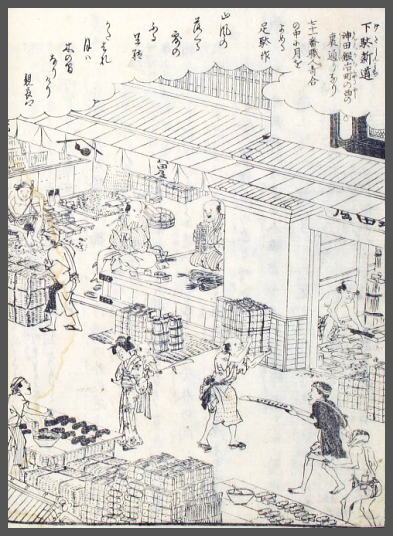 Kagurazaka has a long history. 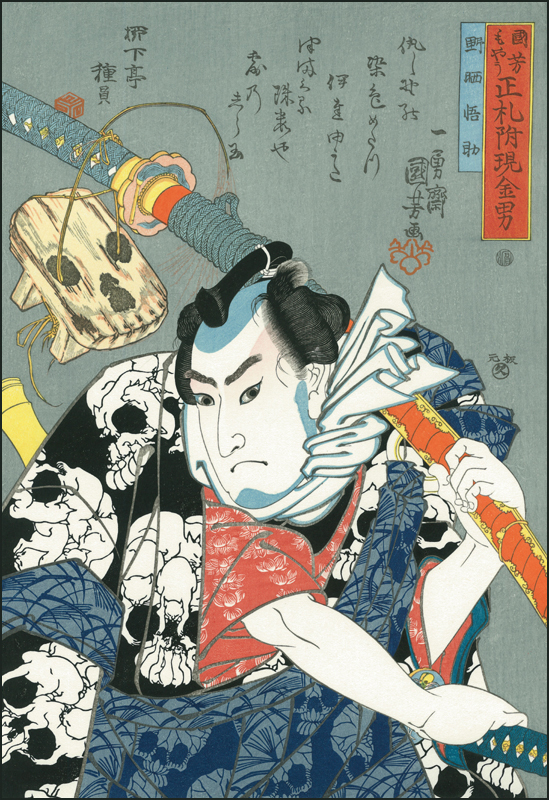 In the middle of 16th century the Ogo clan who had ruled the southern foot of Mt. Akagi in Gunma prefecture moved to Kagurazaka and built the Ushigome Castle near the present-day Koshoji Temple. At that time Akagi shrine was transferred from Mt. Akagi. 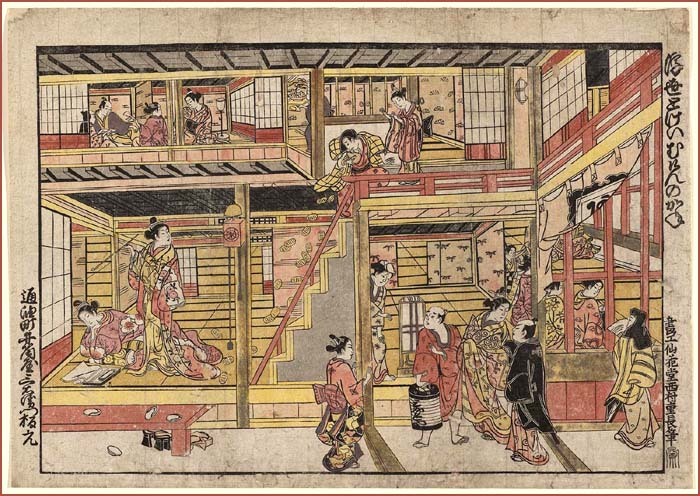 When Ieyasu TOKUGAWA moved to Edo (present-day Tokyo) in 1590, Ushigome clan (renamed from Ogo clan) served Tokugawa family and the Ushigome Castle was demolished. After Tadakatsu SAKAI who became Tairo (chief minister) later built his residence in 1628 of the Edo period (1603 - 1868), lines of samurai residences stood along Kagurazaka Street. Bishamonten Zenkokuji Temple 毘沙門天 善國寺 moved there in 1791 and after that an entertainment district was formed, which led to regional development as Hanamachi (Geisha district). 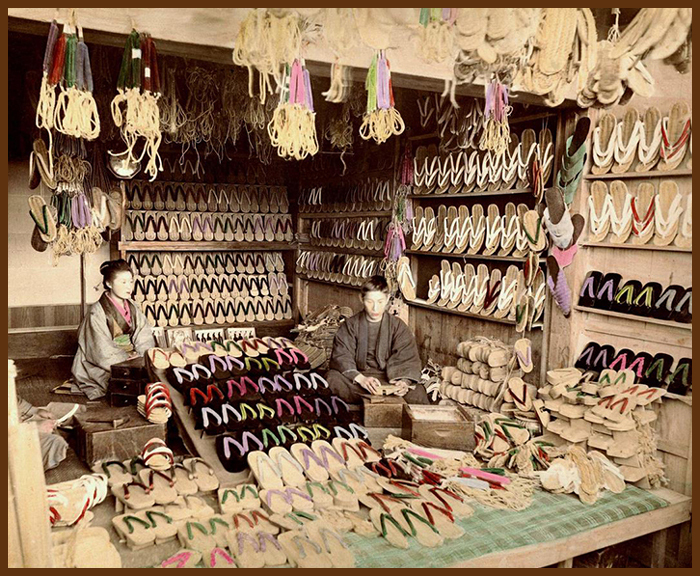 In the Meiji period (1868 - 1912) samurai residences were demolished and Kagurazaka developed as a commercial district. It came to flourish as one of the most bustling shopping and entertainment districts in Tokyo after Kobu Railway Ushigome station (present-day JR Sobu line Iidabashi station) was established in 1895. It was referred to as Yamanote Ginza and developed further because it avoided damages by the Great Kanto Earthquake in 1923. Unfortunately the entire town was destroyed by the air raid in 1945 during the World War II but it was restored after the war and achieved the height of prosperity as Hanamachi in the 1950s. 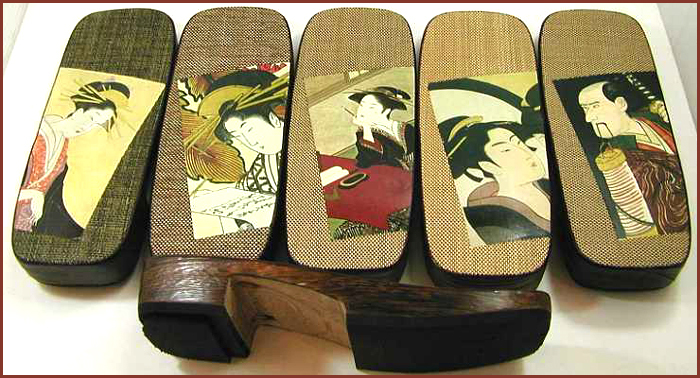 After that the number of Ryotei and Geisha decreased and it retains the traces of Hanamachi in a part of the town. Also it lost its position as an entertainment district to terminal stations such as Shinjuku and Shibuya. However it attracts people’s attention in recent years for example it was used as a location site for a drama in 2007, so it is crowded with many people as a sightseeing spot.
. Bishamon-Ten . 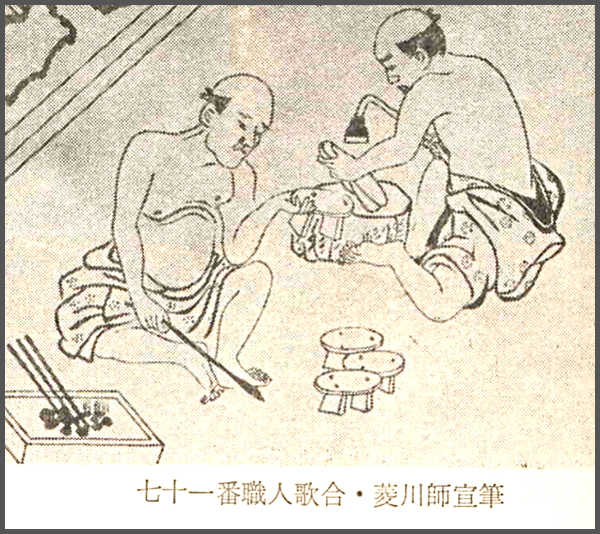 毘沙門天 Vaishravana .
. Ushigome 牛込 - Introduction . around the white gavel court . . .
. yuki banba 雪婆（ゆきばんば) cotton fly .